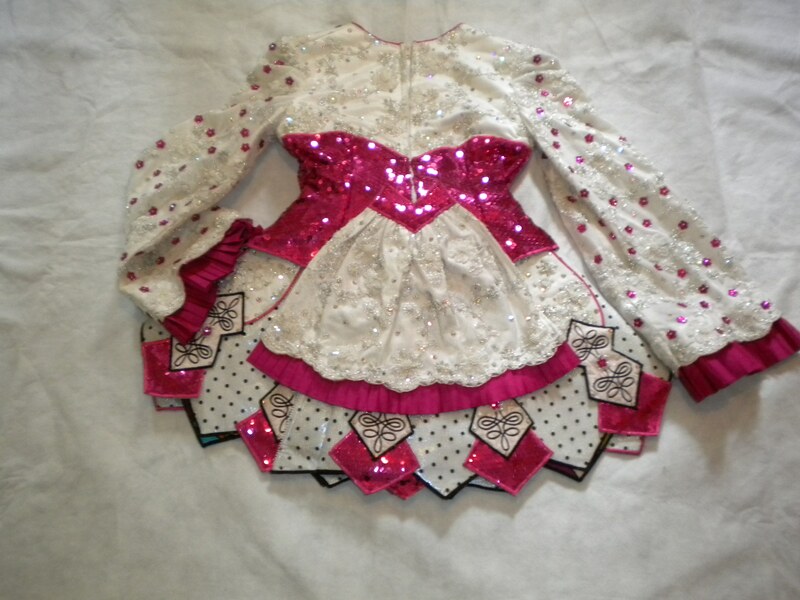 Beautiful pink sequined dress is a two piece. 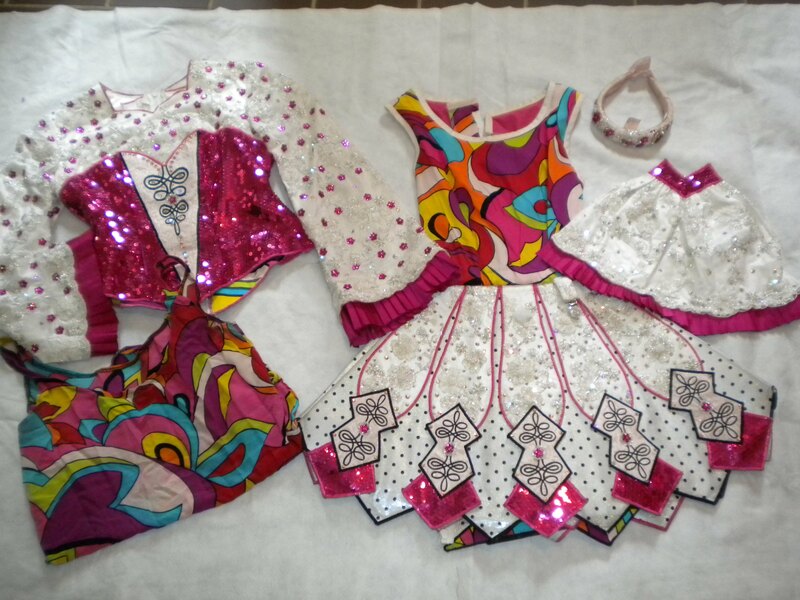 The sleeves have pink flower crystals and around the wrist there is pleated pink fabric. The skirt is a white panel with black polka dots. 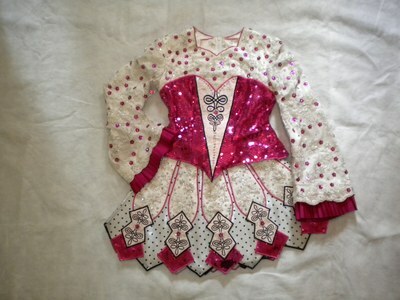 This dress stands out on stage and has won many competitions. The lining of the dress is Pucci print. Designed by Jason Hays and handcrafted by Tammy Webber. 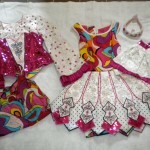 The dress comes with a tutu body suit and headband. I also have extra jewels and trim. 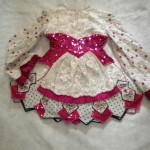 Has only been worn a few times and is in great condition! Asking Price: $US900.00. Shipping costs are not included in the asking price. Sale is final.